Ushnota Paul talks to Christopher Doyle, the Creative Director of the Australia based independent and collaborative creative company, Christopher Doyle & Co.
What is the role of design in brand communication today? Brand is the heart of everything. In terms of commercial design, advertising or any other communication, a company has to start with a brand. An agency that I used to work with earlier used to always say, ‘everything starts with brand’. 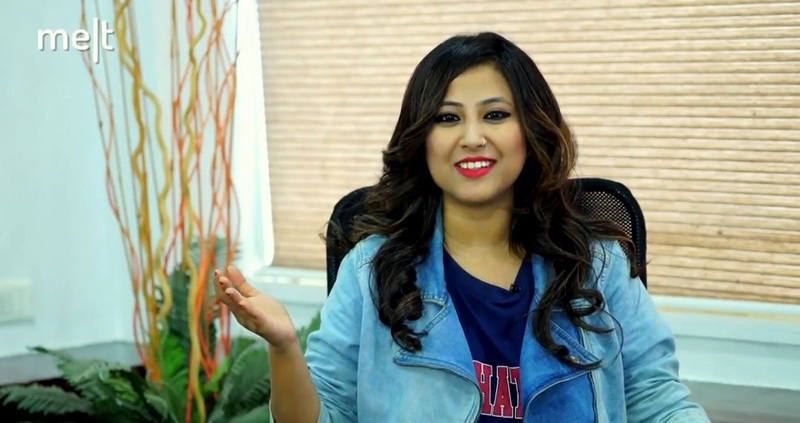 Ad agencies don’t necessarily look at it like that’s the case but with any kind of advertising campaign or any kind of commercial communication design, it has to come from a brand. I guess people get put off by the term ‘brand’, it feels all corporate and scary, but really, without a brand, philosophy, name, ideas and a company set up… what do we even communicate? While brand is that important to a company, what role does design play? More than it has ever played before. Design is now at the heart of all brand and digital creation. Design comes in different forms like UX design, graphic design, product design, app design and even social design… the manufacturer or the creator of all kinds of idea building… design is behind it all. While creating a brand identity, how much of a role do you think logo designing plays? with different colours and formats. And then with the rise of digital brands, we went back to logo being the cornerstone of the foundation. So I think it’s come a full circle. But now, I think it’s all about personality, ethos and the story that’s the heart of a brand. If you ask the people about the brands that they love and hold very dear to their heart, the ones they’re loyal to and passionate about, they’d say they love the logos. But really, that’s just a visual trigger for all the things that they love about the brand. For example, if the Airbnb logo wasn’t this logo, the success of the company would still be there. I’m not saying it isn’t important, it’s a well-designed brand. But a logo can’t fix or build a story. But a good design… do you think it helps brands to eventually charge a premium? I think it does. It’s perception, right? Airbnb is again a good example. Look at the way they looked before they rebranded – they didn’t look premium, modern, technical or an an aspirational brand. It’s clear to point out that it can’t fix everything but yes, design definitely plays a role. It’s all a part of the impression that you build. You helped in creating a brand identity of New Zealand based photographer Natasha Cantwell in a very innovative way. 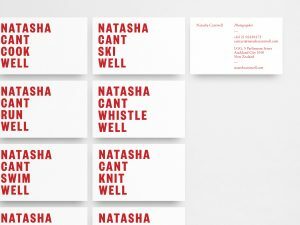 You ended up making her business card listing all the things Natasha Cant do Well. How did that help her brand? Well, she didn’t have a brand. When I first spoke to her, she told me she’s moving to New York in three months. She needed business cards, mailers, postcards… so I guess it was just convenient timing. She had something that she could show to people and talk about her photography and who she was. So from having nothing but her work, she ended up having a brand. She went to New York and had a story to tell that helped people to understand her better. It creates an impression and leaves a mark on people. It wouldn’t have, otherwise. Whether it has actually helped her business, I don’t know, but I think it definitely armed her with a story to tell. 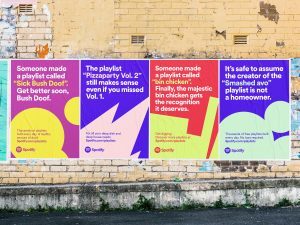 You’ve also worked with Spotify that comprised of over 250 pieces of artwork for a campaign in Australia and New Zealand, across outdoor media, cinema advertising, social media and digital advertising. How did it help an already established brand? 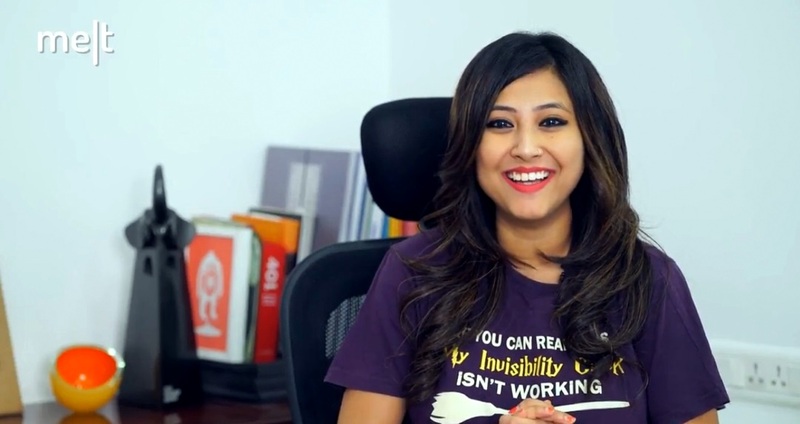 When you do campaigns for a well-known, famous and loved brand, it’s all about awareness. In a way, it makes it easy because you can’t change the type, colours or how the brand looks like. Because that’s what we generally do when we make brands. They come to us and say ‘we have got a typeface, we have a logo and colours, so this is what you’ve to do’. It just becomes an exercise in copywriting and in communication, like writing ads. What is difficult, is to understand what Spotify sounds like as a company. You’ve to get into that mindset and write like they speak. It was challenging in that sense. 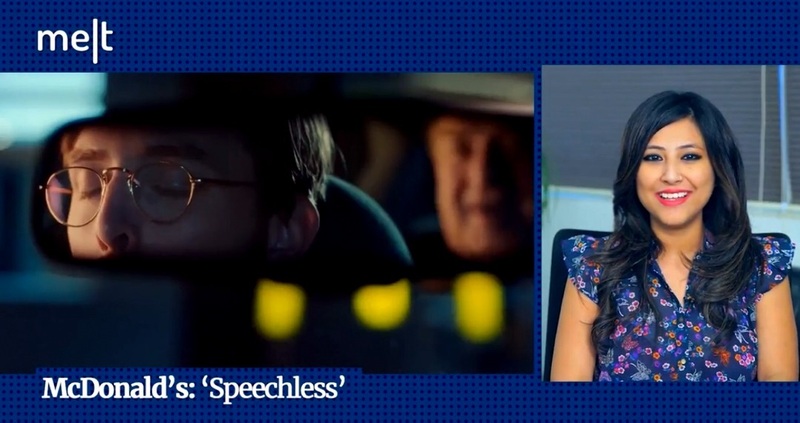 We found out a few weeks later that it was one of the most successful campaigns in Australia. Spotify Australia haven’t had a huge amount of advertising. There have been bits and pieces of digital advertising before but this was big. It was a great brand to work on. They’re super nice. It was good. 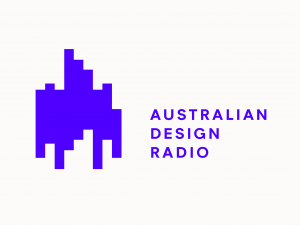 You designed an abstract logo for Australian Design Radio. What was the response like? Did people get the idea behind it? as abstract as we can go. I’m a big fan of making the work accessible. It doesn’t mean that it has to be boring or really obvious. Sometimes the access to the consumers is a lot, sometimes it’s a little bit. 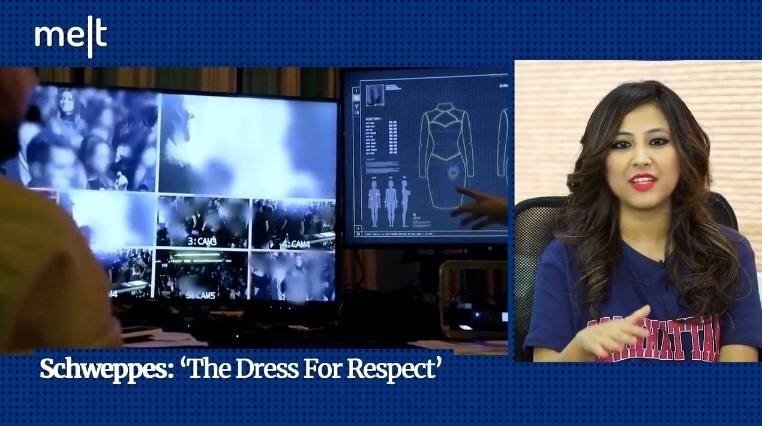 There have been situations when the audience is quite niche, like in this case we were targeting mostly to the designers and not the general public. We were talking about design to the designers, so we could be a bit abstract. What role does design play in marketing/branding of a product during an economic crisis? The same as it always does, even without an economic crisis. Design and brand are basically the main platform. Companies certainly are mindful of an economic situation and crisis and they react accordingly. But people still want the same things, which is trust and reputation, an experience that they can rely on and a brand that they know won’t change. Whether it’s in times of financial crisis or financial growth, that doesn’t change. You work with a lot of big brands and clients. If you can give one message to them, what’d it be? (Chuckles) Be brave. I think clients are not brave enough. They worry about what people are going to think instead of thinking about new experiences.